Why purchase a Life Membership? Mentor - share what you've learned! Indicate in your online member profile that you would like to be a mentor and be a part of a Connect Community designed for mentors to advise those who need a mentor. As a life member of ACNM, you an invaluable resource to midwives, especially students and new midwives around the country! There are many state and national opportunities for volunteering and leadership positions with ACNM. Lend your expertise to national Volunteer Opportunities . You could also let your affiliate know that you are interested in opportunities at the local level, such as helping out with state advocacy issues. ACNM has 2 Life Member categories - Active-Life and Active-Life (65+). Both are lifelong full voting memberships in the College and are open to any CNM or CM. Along with the added benefit of listing your Practice on Find-A-Midwife, membership includes a subscription to the bi-monthly Journal of Midwifery & Women's Health (including online access), policy, advocacy and practice updates; the bi-weekly Midwifery Now e-newsletter; Quickening online news site also available in print; and the weekly e-newsletter ACNM SmartBriefs. Your ACNM membership entitles you to discounts on ACNM meetings, product and CEUs. Your membership also gives you access to ACNM Connect , an online members-only community. Full voting membership in the College for the rest of your life. Open to any CNM or CM. Senior midwives have often expressed the desire to affordably remain active in ACNM and continue contributing to the future of midwifery. We designed a national membership rate that you can pay once and never have to worry about national dues again! ACNM is honored to offer this to midwives, 65 and older, who have given so much of themselves and their career to midwifery. If you qualify for this category, we hope that you will take advantage of this offer. We value your wisdom and expertise and hope this helps you stay actively engaged for life with full voting privileges at an affordable rate! We cut the current Active-Life rate in half for our 65+ midwives as our thanks to you, and you pay only $2,738 for the life-long national membership! 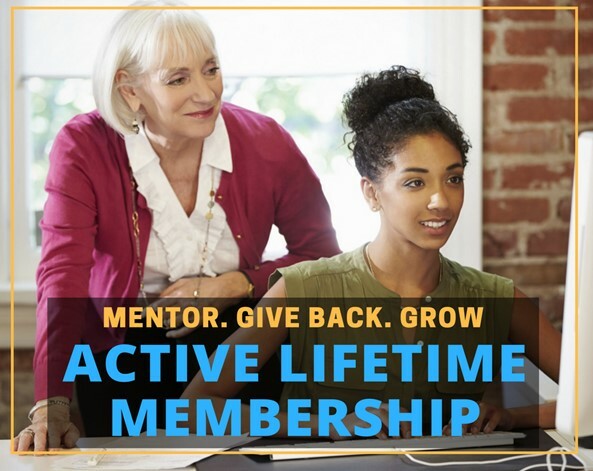 Take advantage of this specially-priced Active-Life membership rate, keep all the benefits of full, voting active membership and let your voice be heard - for life! "How do I sign up?" Download and complete the Member Application form, then send back to us by email ([email protected]) or mail (the PO Box on the form).